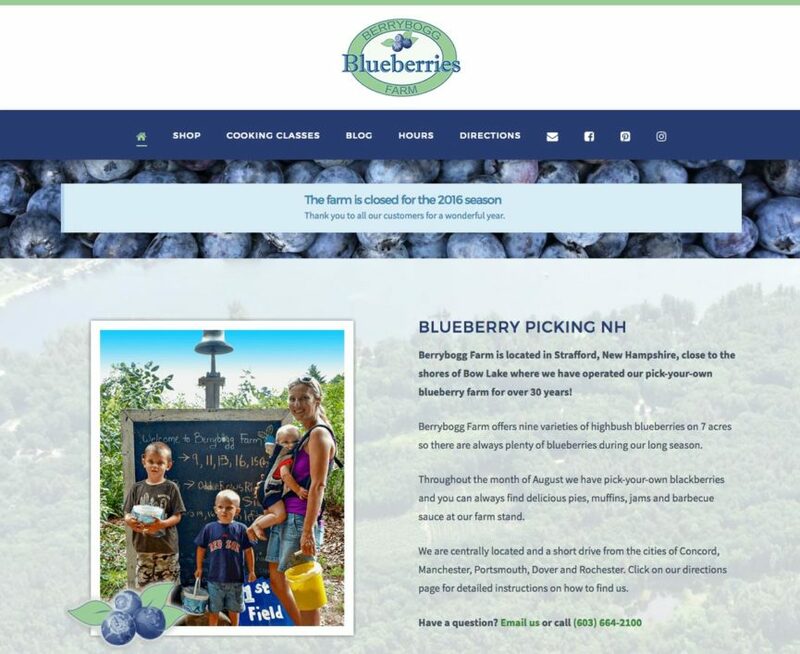 Long time clients, the Berrybogg Farm in NH came to us again for a revamp of their WordPress-powered website. The old version was starting to show its age so we gave it a nice modern look utilizing the recognizable greens and blues from their logo. 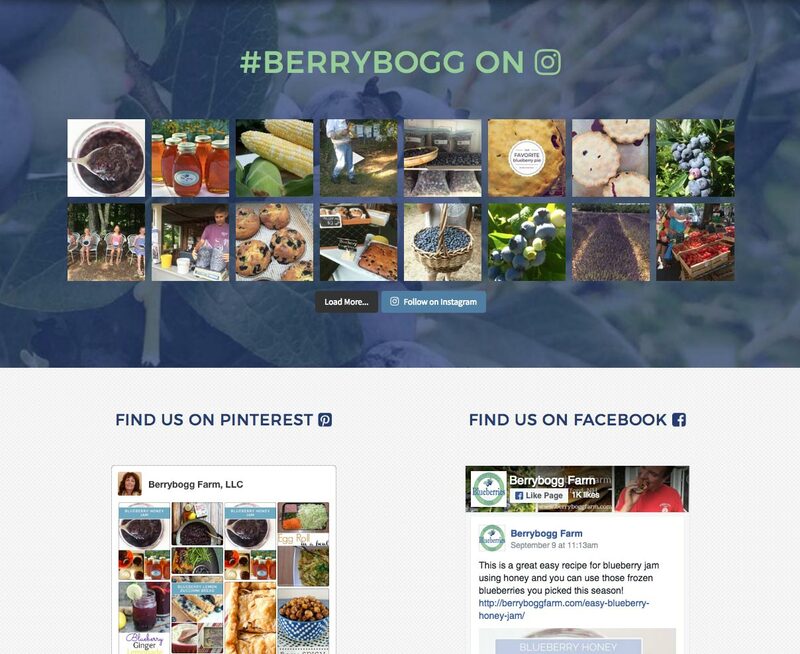 Berrybogg does an excellent job with their social media presence, so a major goal was to showcase this with various social widgets on the home page, as well as nice little icons in the nav menu. Visuals played a key role in this project. 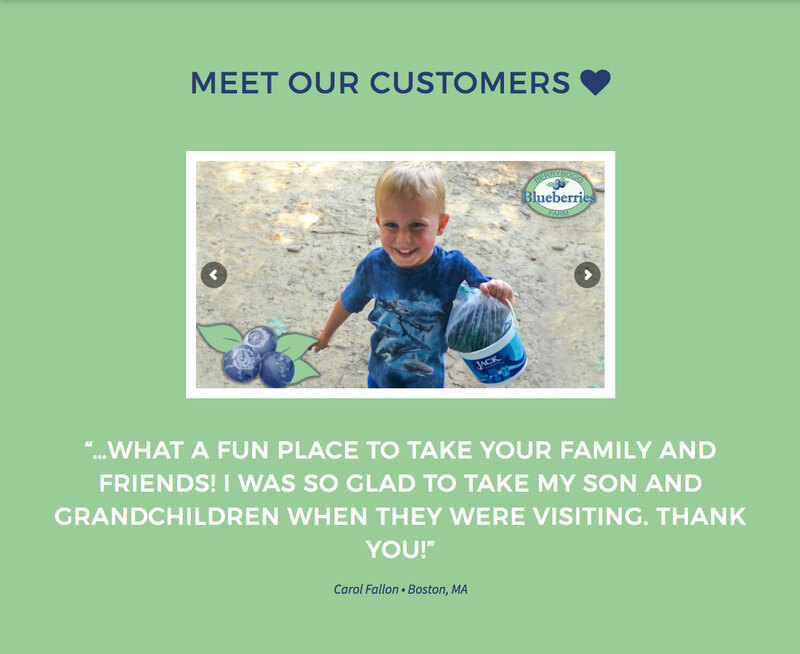 The blog is highlighted with giant featured images, we made sure to include a couple of different sliders – one showcasing the customers, and one showing off the blueberry-inspired food that comes from Berrybogg. All in all, a fun project.